If you're a betting sort, then your money may be best served on the Chelsea man to score the first goal. England's fluency has deserted them so far, and it may take a penalty to settle the nerves. Despite the fact that he has missed his last two spot-kicks, Lampard has said he will be the man to score from 12 yards if given the opportunity. 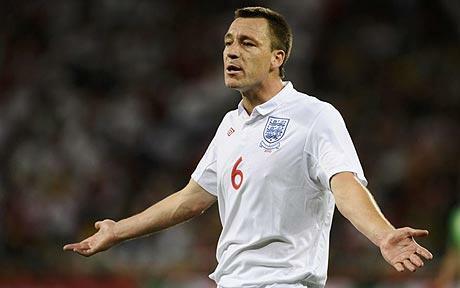 Similar to the current Ghana side, a penalty could be just the thing to jump start England's stuttering campaign. The other likely scenario with England scoring could come from a set-piece. If the delivery is good, you can be sure that the Chelsea captain will be first in the queue to get on the end of any potential free-kicks or corners. Also, it'd be a boon for both Terry and the team for him to remind people, that even though he was probably busy testing the virtue of the Virgin Mary when God was handing out tact, he is still one of England's key men. 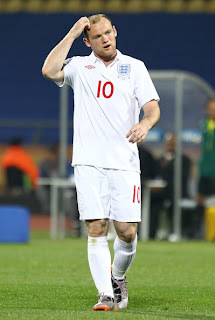 I view a an incisive performance from England to be unlikely, but if they do rediscover their groove, chances are it'll be because Rooney will find his best form in Port Elizabeth. His belief is at a low ebb, but the team is built to get the best out of him. If Rooney can make the most of this then Slovenia could be in for a hiding. All press reports point to the Tottenham striker being given his head alongside Rooney up front. He looked reasonably sharp when coming off the bench against Algeria (personally I think he should have come on at least 10 minutes earlier) and will constantly test the last line of Slovenia's defence. However, Defoe needs good service to thrive. If he was to get it, he is reminiscent of Ian Wright, and would be a good outside bet to send England into the last 16. Another who is expected to be thrust into the World Cup cauldron today. Don't let Milner's non-performance against the USA be a deterrent. He had just recovered from illness and was patently not in the right condition to play. 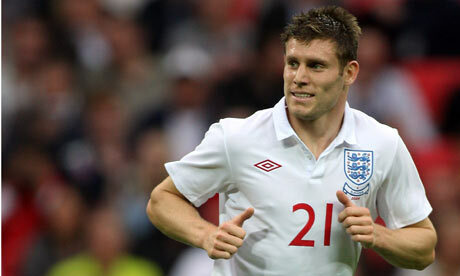 Capello has been a Milner fan since he turned the game in a friendly match against Holland a year ago. He's proven that he has a big match temperament and could be a danger from long range. In the past couple of days, Cristiano Ronaldo & Andres Guardado have shown that it is possible to threaten goalkeepers from outside the box in South Africa. Milner could be England's wild card.